This week we could choose from quite a few fun files...The 3D Christmas Ornament Set, The Christmas Ornament Shaped Card Set, Christmas Ornament Fun, and the Bulbs For The Tree Printable Stamp Set. I decided to use the Bulbs for the tree stamp set to create a Clean and Simple card. 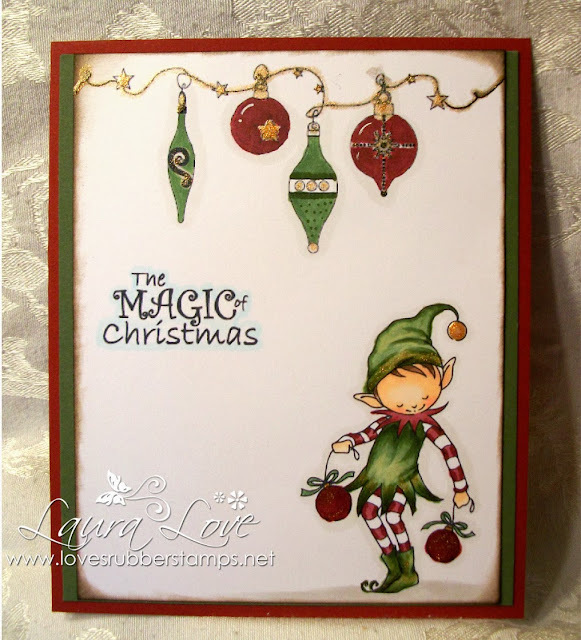 CAS are hard for me but when I saw the images in this stamp set I knew that they would pair perfectly with one of my favorite images - Birdie Brown's Christmas Elf. The Sentiment and the Bulb spray across the top are both from the Bulbs For the Tree Set. Now head on over to The Cutting Cafe Blog to see what gorgeous projects my fellow teamies have created for you this week! If you get some crafty time ... be sure to show off your project in the Loves Rubberstamps Holiday Blitz Challenge! We are giving away TONS of prizes and will have multiple winners! It is Anything Goes theme so be sure to play along! adorable! The elf is perfect for Regina's images. WOW this is Awesome!!!!! I really love it and Congrats on another term!!!! You Rock lady!!! This is incredible! I can see why Regina chose you to stay on! Wow! That is so adorable and your coloring is awesome! You rocked the CAS! Super gorgeous! He looks amazing. Love the babbles. Beautiful card, love the stamps and colours :) thanks for joining our last challenge for 2013 at Through the Purple Haze Challenges. Merry Christmas! Such a cute Christmas card. Thankyou for sharing with us at Digi Galore. Good Luck and hope to see you again soon. Wow!! !sooooo cute....thanks for joining at inky impressions. Laura, I love your card...it is so adorable. 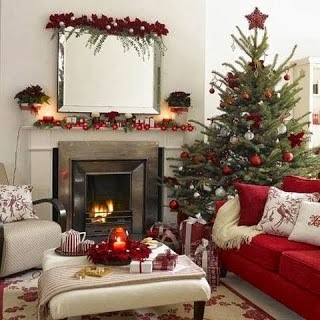 I really like the way you used the ornaments. Have fun on your next term with The Cutting Cafe. Unfortunately, this is my second term, ending on the 31st. Hopefully, I can come back in the Spring! Congrats on the next term! He is a cutie! I love how you left so much white, that is difficult for me to do! I hope you have a very Merry Christmas, enjoy the time with your family! Welcome to the Loves Rubberstamps weekly Sensational Sunday Blog Hop! The Design Team has created some gorgeous projects for your Inspiration. Check out each link and leave a comment. WOW! This is stunning. I love it. Thanks for joining us at Digi Galore. LOVE YOUR CAS design!! FAB!! HUGE STAMP SALE by My Friend Tammy!